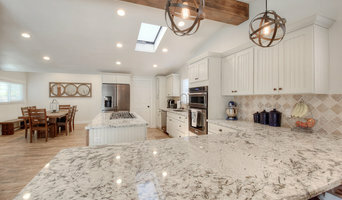 CDT offers cabinets, counter tops and space planning service. We have many types of cabinet selections as well as granite and quartz tops that we fabricate in house. High gloss, matte painted contemporary, traditional as well as high end custom built inset doors are a few of the styles we have available. We also have a quick ship program for two week turn around if you are on a tight schedule. Services Provided Specializing in Kitchen and bath design, selection, and installation. 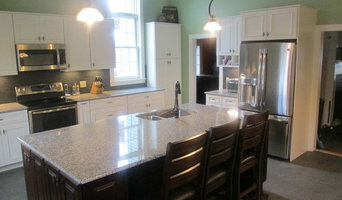 We also offer granite and quartz tops, new construction as well as remodeling services. Our experienced designers work directly with builders as well as home owners. Fast, efficient, and honest, Shores Building & Construction has become a reputable and well-known service. We're up for every job, managing projects with the skill our clients have come to expect. 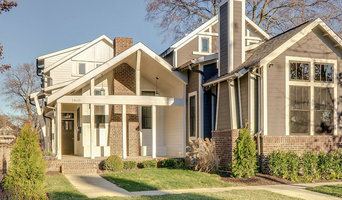 APEX Builders has built homes locally in Nashville for over 8 years with a mission to provide our customers with the absolute best experience with the construction process. We have over twenty-five years of experience building high-end, custom homes and light commercial properties. Many of our clients are high-profile individuals and have trusted us with the design and construction of their homes, along with their privacy and anonymity. Integrity and relationships matter most to us, which is how we've built our business on referrals and repeat projects. We are you one stop shop for everything related to home remodel and design. We'll complete the job in a timely and professional manner. Give us a call today! We are Nashville's premiere full service construction company specializing in commercial build outs, new custom homes, remodeling, and additions. We are also a full service plumbing company to include water/sewer connections and municipal utilities. Licensed, bonded, and insured with the State of Tennessee we are available for all your construction needs. Commence Construction, LLC.®, formerly Milestone Custom Builders, has been doing quality work since 2008, so we know how to get the job done just the way you want it. Peggy Newman wide collection of home designs is known for capturing the essence of down-to-earth functionality and everyday living, while maintaining an elegant and sophisticated style to each home. Fast, efficient, and honest, Shores Building & Construction has become a reputable and well-known service provider. Our team is up for every job, managing projects with the skill and experience our clients have come to expect. We want our customers to be satisfied with our work, which is why we provide open communication channels throughout the duration of each project. 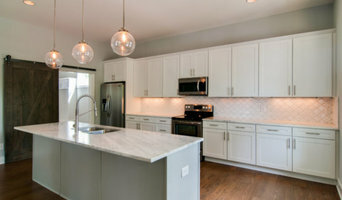 KITCHEN REMODELS Expert Service We have the experience and skills necessary to tackle just about every type of job that comes our way. With Shores Building & Construction, clients know exactly what to expect - professionalism, efficiency and exceptional results. BATHROOM REMODELS Always Prepared Shores Building & Construction is committed to getting the job done, especially when it comes to this service. You can count on us to be professional, timely, efficient and make sure you’re satisfied every step of the way. ROOM ADDITIONS, NEW CONSTRUCTION, YOU NAME IT! Attention to Detail Since its founding, Shores Building & Construction has been one of the most trusted names in the industry. Hire us and learn how we cater to the needs of each client, ensuring the results you need and deserve. Since 2001 we've offered full service contracting. When it comes to your custom construction project you want a builder that you can depend on, who listens & executes your plan with superior results. Custom Creations Home Improvement, LLC is a full service, licensed home improvement company that can take care of anything from extensive home renovations to kitchen and bathroom remodels. LLG Residential Design LLC is focused on Design That Works For You. The design process should be personal, fit your family, lifestyle and be fun! Twenty five years of gracious livable homes characterized by simplicity of massing, harmonious proportion, and meticulous detail. With thoughtfulness about the entire process, we concentrate on communication with all parties involved with the project. Our custom online system was designed and built from the ground up. Southern Breeze Home Design Center, Inc.
Southern Breeze Home Design Center are your trusted professionals for home remodeling, insurance restoration and custom new construction. Our experienced professionals manage your home project from concept to completion. Nac Plus Real Estate, LLC. NAC PLUS REAL ESTATE is a small company that provides various building solutions & great customer service. We have a wide range of experience to get the job done right, on time, and within budget. We're a design-build firm specializing in residential remodeling. In other words, we help houses and budgets work at their very best. Diversified Planning and Design LLC is a design firm based in Brentwood TN. We specialize in residential and commercial design with an emphasis on sustainable technologies. Although we are located in middle Tennessee our capabilities do not stop any borders. We are a LEED accredited firm that specifies energy, water, and material resource efficiency regardless of style. No matter how traditional or modern, simple or elaborate we delight in creating tailored, innovated solutions for our clients. Our mission at Fry Classic Construction is to build accurate expectations. Integrity and honesty are our guiding principles and our approach has always been to be completely open and transparent. We are a custom home builder who go above and beyond what is asked. We take care of all the building aspects for a home from the foundation walls to what lights you are putting up. We give onsite supervision from a construction engineer and come equipped with an interior designer to help with all your design needs. "Taking dreams and turning them into realities." Stephen has decades of experience designing custom homes of exquisite beauty & grace. He has extensive technical knowledge of construction and an innate creativity in executing detail on his projects. We understand the uniqueness of each community and how each home fits. That leads to a different way to look at building including: lifestyle design, lifestyle build, each customer living their lifestyle and loving their Holmes. Each home we build begins with a series of questions that remove assumptions and define the design together. This allows us to better understand our customers and opens their eyes to our unique construction process. From decorating style to layout to functionality we provide a roadmap that ensures that when we hand over the keys and you lock the door, you sleep well knowing its exactly what you thought it would be – a reflection of you. Our mission is to build a quality custom home at a great value with the flexibility to personalize the floor plan and finishes. Please let us know how we can help! Fears Construction, Inc. was founded in 2016 by co-founders Adam Fears and Everett Lowe. Adam Fears moved to Nashville in 2006 after attending Texas A&M University where he graduated with a degree in Agricultural Development. 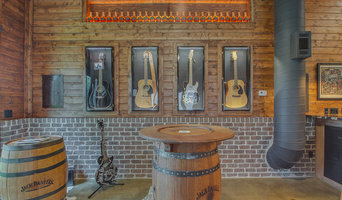 He has worked both as a real estate agent at Commonwealth Properties on Music Row, as well as, in many facets of the construction industry, from residential remodeling, to multi-million dollar commercial projects. Fears had always wanted to start his own construction firm and partnered with long-time real estate broker Everett Lowe (Owner of Commonwealth Properties). They have worked on hundreds of projects together for the past 10 years, creating an outstanding track record and decided it was time to take their expertise to the public. MPA Studio 29 provides architecture, sustainable design, urban design, interior design and graphic design. What we have to offer is big ideas at the forefront, and the ability to follow through. Since forming over twenty five years ago, Forte Building Group has gained recognition for building one of a kind custom homes, unique to each and every one of our clients. With forty plus years of experience in the architectural/engineering profession and construction industry, Will Forte has comprised a team of talented and unique folks, skilled craftsmen and experienced product suppliers capable of providing a highly diversified range of expertise. From inception and pricing all the way to completion and beyond, each member of our group is accustomed to taking a truly personal approach to home building. Whether assisting to evaluate design options, constructing complex structural systems or guiding our clients through the process, we pride ourselves on exceeding expectations in regards to budget, value and schedule. We understand the importance of working with each other, our clients, architects, designers, and the rest of the project team with one common goal: Provide an enjoyable experience that delivers the highest possible quality. Oak Tree Builders has been providing clients with quality home building and remodeling services for over 33 years. Every job is personally over seen by Bonn Latimer(owner). Since Bonn runs all the jobs, Oak Tree Builders will only take as many jobs as he can oversee with the comfort level of knowing that each job will get the needed attention required to do a quality job. Our motto is "The bitterness of poor quality remains long after the sweetness of a low price is forgotten." Oak Tree Builders does not compromise when it comes to service, quality, or satisfaction, and I hope we can help you build your dream project. I look forward to meeting you to make it a reality. As the most trusted custom home builder in Nashville and Middle Tennessee, we don’t just build dream houses. We make every home a Castle, worthy to be the backdrop of a family’s cherished memories.